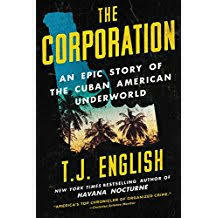 Journalist and author T.J. English chronicles that organized crime saga in his new book “The Corporation: An Epic Story of the Cuban-American Underworld" (HarperCollins $28.99). English presents the book Tuesday night in Little Havana. WLRN’s Tim Padgett spoke with him about this more sinister side of the Cuban exile story. WLRN: A decade ago you wrote the book Havana Nocturne about how the American mafia took over Cuba in the 1950s and helped provoke the Cuban Revolution. Your new book chronicles how a Cuban exile mafia then conquered the eastern U.S. Do you consider this second book really a sequel to the first one? ENGLISH: Yes, that’s a good way of putting it, very much so. The question everyone asked me after the first book was, What happened after the Mafia got chased out of Cuba? What were the consequences of that? And this book is partly an attempt to answer that question. The book’s main character is Jose Miguel Battle, also known as El Padrino – The Godfather. Before Castro’s revolution he was a Cuban vice cop who watched organized crime up close in 1950s Havana. Then, as an exile, he fought at the Bay of Pigs and was taken prisoner. How did all these experiences make him a mob boss when he returned to the U.S.? Battle was more than just an observer. As a vice cop he was the bag man for the mob in Havana. He delivered money from the skim of the casinos to the presidential palace. And he made relationships that laid the foundation for what he was to do in the United States. As for the Bay of Pigs, the humiliation and also incarceration in Cuba is the key to understand Jose Miguel Battle and those who formed The Corporation with him. The psychological need for revenge is right at the core of this criminal enterprise. You also suggest The Corporation had links to the CIA and the U.S. government. Well, the [members of the] 2506 Brigade that were the Bay of Pigs invaders were CIA-trained. And after they got out of prison from Cuba, many of them, including Jose Miguel Battle, joined the U.S. Army – and continued their CIA connections. I think part of the reason The Corporation formed was that Battle believed they would be part of the anti-Castro movement, that yes, it was a criminal enterprise to raise money for gangsters, but also to finance covert operations on behalf of the militant exile movement. Battle formed a Cuban-American syndicate stretching from New York to Miami. It’s cash cow was bolita, an illegal lottery racket. How did Battle’s group become so rich and powerful – on par in many ways with the New York mafia? Yes, well, he did it by partnering with the New York mafia. Battle was the master, from his time in Havana, of the well-placed payoff. He was also an example of a mob boss getting his hands dirty and getting involved. One anecdote is the murder of Ernestico Torres, who was a member of the organization. At a certain point, Ernestico turns against the organization and something needs to be done about him – he needs to be eliminated. So, seizing upon his legend as a war hero in the Bay of Pigs invasion, Battle decides to take matters into his own hands and goes down to Miami, to Opa-locka. Battle puts the gun to Ernesto’s head and shoots him right between the eyes. Yet, Battle kept The Corporation away from the “Cocaine Cowboy” scene that plagued South Florida in the 1980s. Why? Well, that’s fascinating. Battle was an old school gangster. In fact, he put out an edict in his organization to not be involved in cocaine. But once he made the personal move to Miami from Union City, New Jersey, to live in 1985, he did get involved in the cocaine business. You could not be a racketeer operating in Miami in the 1980s and '90s and not have some connection to the cocaine business. 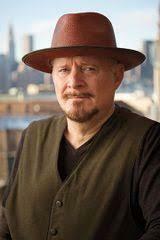 Tell us about David Shanks and his crusade to bring down El Padrino. There’d been many cops who were not able to make any headway against The Corporation. David Shanks was a Miami cop whose specialty was vice, gambling, rackets. Shanks had something in common with Battle and that was persistence. He saw that this was a potential racketeering case, a RICO case, where you make a federal case against an organization, not just an individual. So Shanks was the driving force in the prosecution of The Corporation. He stuck on this case; he stayed with it. The book ends with then-President Obama making his historic visit to Cuba two years ago. Now that so much has changed in the U.S.-Cuba relationship, why is The Corporation’s story still important to tell? I ended with Obama’s visit because the book was feeling very much to me like a consequence of things being opened up – that this story could now be told. I do believe that getting this story out now is part of a healing process. T.J. English will discuss “The Corporation” Tuesday, March 27 at 7 p.m. at the Cubaocho center in Miami’s Little Havana, 1465 SW Eighth St.
How the Cuban Missile Crisis shaped Miami. Where were you on October 22, 1962? If you aren’t old enough to remember, ask someone over 50. That day, when President Kennedy revealed in a national TV broadcast that there were missiles in Cuba, was life altering for many, especially in South Florida.